Interior Concepts » Blog » Furniture Design » Sit-to-Stand Workstations: The Key to Good Health? Sit-to-Stand Workstations: The Key to Good Health? If you work in an office (like me) you probably spend more hours sitting in a desk chair than anywhere else – and your body feels like it. One way to combat discomfort is to work at a sit-to-stand workstation. This solution allows you to adjust your body position throughout the day, which can reduce discomfort. Recently you have probably seen numerous articles about the negative effects of sitting all day. In fact, a recent study referenced in an article by Men’s Health noted that even if you work out, if you spend a lot of time sitting you are at a higher risk for heart disease. Another article in the New York Times refers to research finding that those who stood all day doing — nothing other than standing –were much healthier than their counterparts that sat all day because they burned hundreds of calories more per day. Interior Concepts offers three options for an adjustable height workstation. 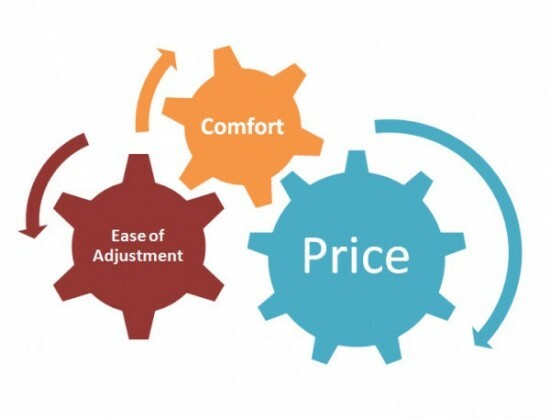 The best option for you will depend on your budget, the comfort of the solution, and the ease of adjustment that you require. 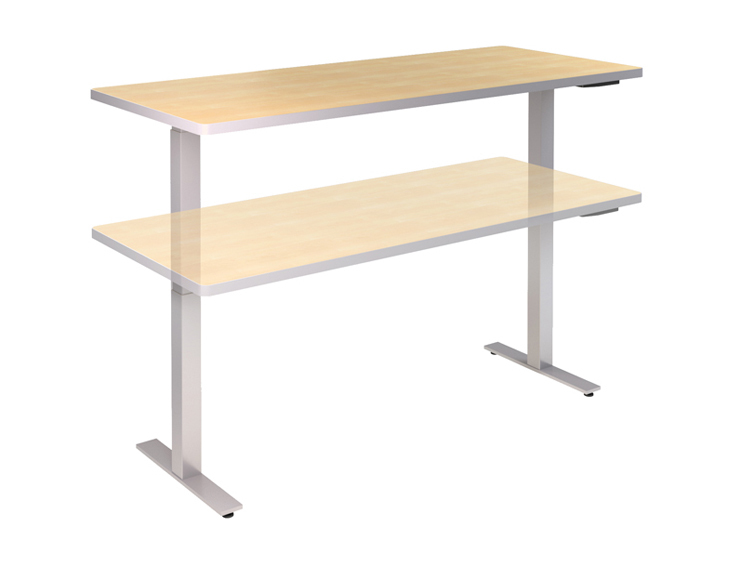 Electronic Height Adjustable Worksurface: This is the most popular option for our customers that wish to use provide employees with a sit-to-stand workstation option. The solution consists of an electronic height adjustable mechanism under a workstation that allows the user to adjust workstation height by simply pressing a button. The benefits to this solution are the ease of use – the easier the workstation is to adjust, the more people will be likely to use it. Adjustable Monitor Key & Keyboard: A second option is to use a keyboard mechanism and monitor arm with enough range to transition from standing to sitting. This set-up works well for those that use a traditional monitor and keyboard versus a laptop. Adjustable Height Tables: Interior Concepts recently launched its Influence adjustable height table line. Influence offers several solutions for an adjustable height desk option, a crank adjustment or counterbalance adjustment. Both options give users the option to easily adjust their working height without power. People can easily alternate between standing and sitting to work at stool height. Watch a video demonstration of the adjustment options. Visit the Contact Us section and fill out the form. We will put you in touch with a project manager or local representative that will work with you to find the best solution for your budget, comfort, and the ease of adjustment that you require.